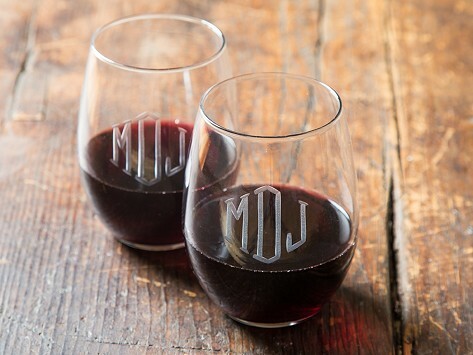 The classic Monogram on these personalized wine glasses is timeless. Susquehanna Glass Company has been hand etching glass in the USA for over 100 years, and they will etch your chosen letters with the attention to detail they’re known for. Each letter is painstakingly hand cut by holding the glass against a rotating stone wheel. The result is a crisp finish that will last for years. I have sent several sets of these as gifts and everyone was ecstatic. Wonderful gifts! 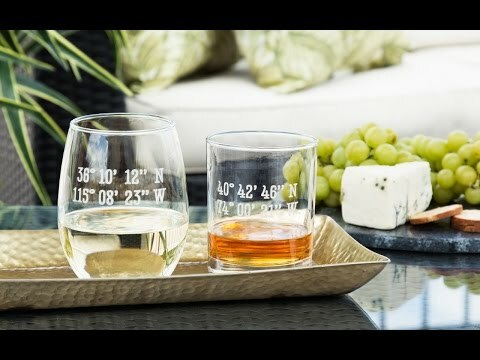 I loved the way these glasses were etched. The happy couple are going to love them as well.